The pull of the Pacific Crest Trail (PCT) was too much. We had to get back on it. 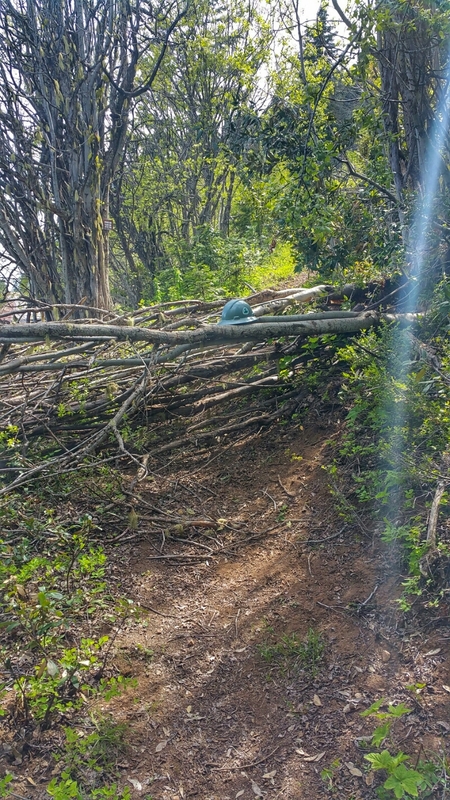 For the last three days, instead of strictly putting in miles, we were clearing trees and brush so this year’s group of hikers wouldn’t have to spend days climbing over all of the trees that fell over the winter. All told, some 30+, some small, some large and some that were just a rat’s nest of a mess. Here’s a before/after of a rat’s nest. The picture doesn’t really do justice to the depth of this mess. It was a good eight feet of trunks to climb across, something not enjoyable when you have a full pack on your back. After a couple of days of that, it was time for a bit of play. 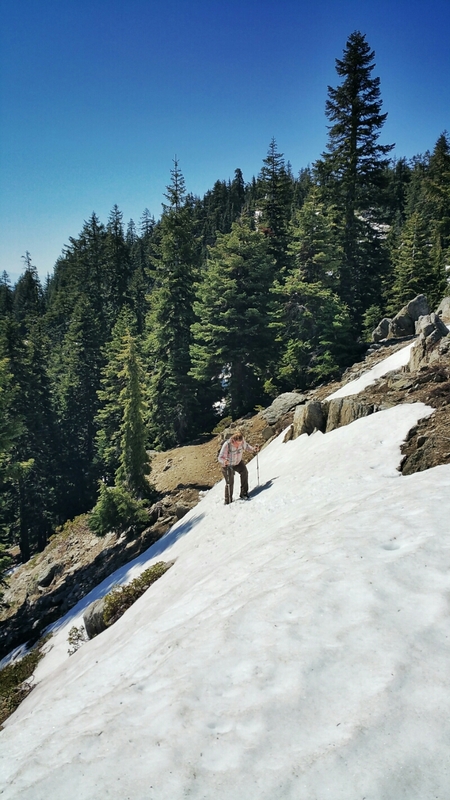 Here is Goddess climbing along the PCT, kicking in steps in a deep snow drift on the trail. 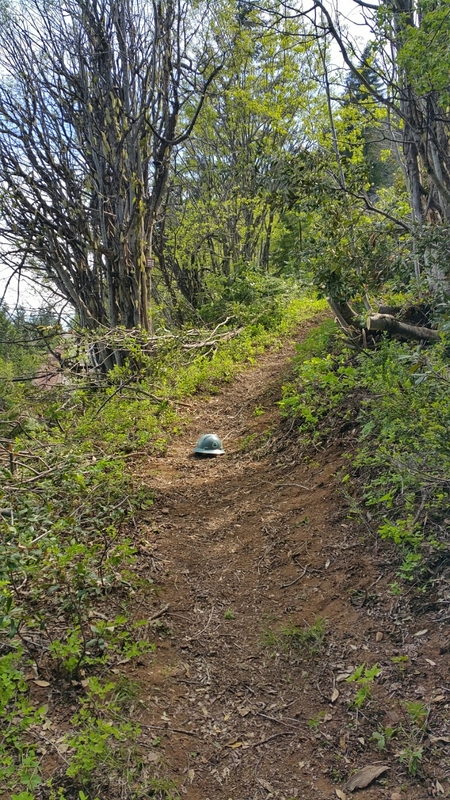 One slip would be painful as she got launched into the rocks and forest below, but the confidence she built on her thru-hike last year meant that she cruised through this section. But it was sketchy enough that we did not descend that stretch, instead taking the snow-covered forest road back to our car. No sense in getting hurt this early in the season. Or any season, for that matter. Hopefully you are able to get out and enjoy wherever you are. You Folks are AWESOME! Thanks for your service! It inspires me seeing the photo of Jen on that slope. You GO Girl! 🙂 miss you guys…..keep on…keeping on!